Green Tea: Good For The Brain & So Much More – This Girl Loves to Eat! Back and forth the news goes seemingly daily with the benefits or risks of one food, drink or other thing we put into our bodies. Today it’s about green tea. Most articles say the stomach, brain and the heart all benefit from drinking green tea, but it does so much more! 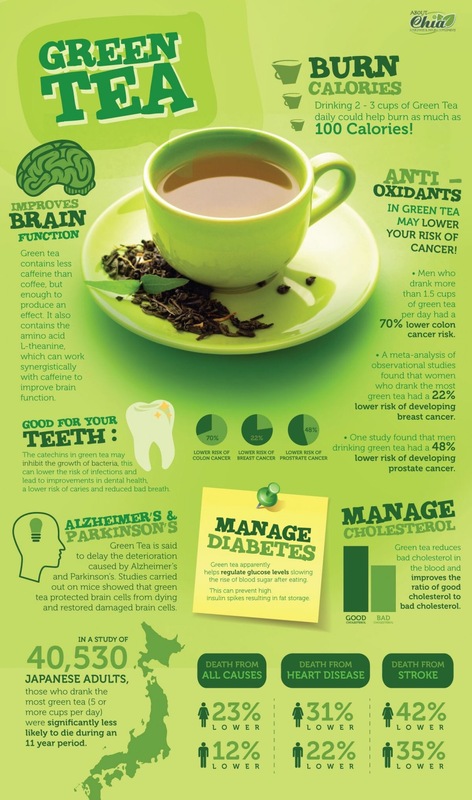 Looks like it’s well beyond time to make green tea part of the daily routine! Posted on January 4, 2017 by ls1228Posted in breakfast, drinks, Good For You, HealthTagged brain, burn calories, energy, Green Tea, Health, heart.